Why do they favor northwest movement? 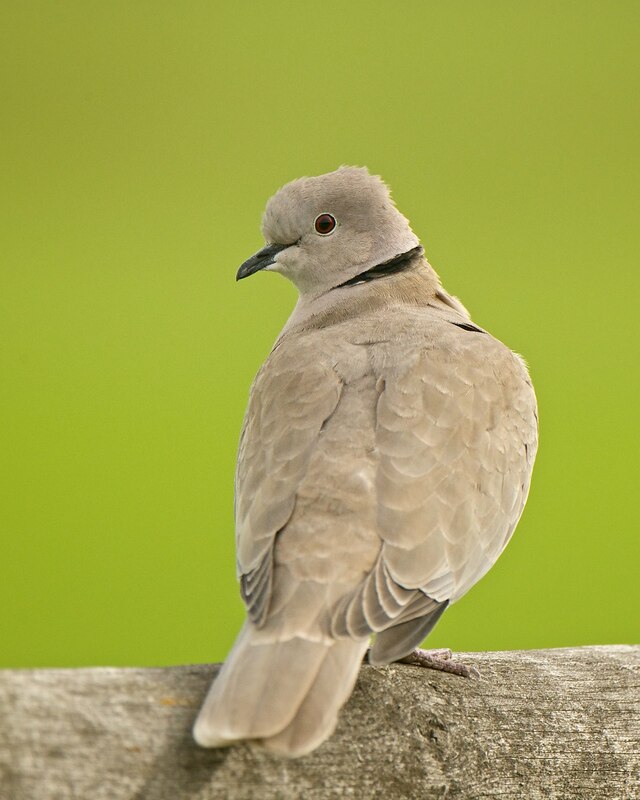 The Eurasian Collared-Dove is rapidly increasing across the US and southern Canada. This sandy pink bird with the neat black neckband was released in the Bahamas in the 1960s. Brought in as pets, some doves escaped. They made it to Florida a few years later and have been spreading in a generally west-northwest direction ever since. Today, true to their inner compass, collared-doves appear poised to conquer another territory — Alaska. From the starting point of the Bahamas, that’s about as far northwest as it gets. Support for BirdNote comes from Skagit Valley Tourism, a Pacific Northwest winter haven for swans, geese, raptors, and more. Info on the Birds of Winter Experience at VisitSkagit.org. Now, collared-doves are more common on the coasts of British Columbia than they are in some areas closer to where they started out. Yet no one knows why they keep so strictly to this northwest bearing. In Europe, too, they’ve been pushing northwest, starting in the Balkans, reaching Britain by the 1950s, and even on to the Faroe islands and Iceland. All this before they managed to make the much shorter step from the Balkans south into Africa. Now, true to their inner compass, collared-doves appear poised to conquer another territory…Alaska. From their starting point of the Bahamas, that’s about as far northwest as it gets. There’s more to the story, and pictures, at BirdNote.org. I’m Mary McCann. Bird sounds provided by The Macaulay Library at the Cornell Lab of Ornithology, Ithaca, New York. Recorded by M. Iliff.